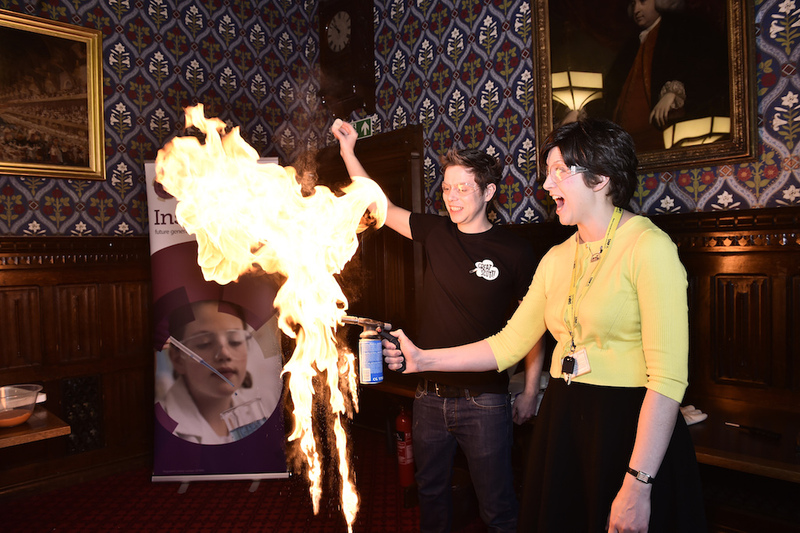 Glasgow Central MP Alison Thewliss showed a passion for chemistry this week when taking part in science experiments to mark the 175th anniversary of the Royal Society of Chemistry. At the parliamentary event on 24th February she heard about the importance of good science teaching in primary schools in Glasgow Central and took part in some loud and colourful chemistry experiments performed by children’s presenter Fran Scott and her team from Great Scott! science shows. Ms Thewliss witnessed the whizzes and bangs of chemistry first-hand as Fran and her team created dry ice bubbles, colourful flaming salts and hammered MPs’ hands, which were protected with non-Newtonian goo. But behind the colourful chemicals and exciting explosions, the event was an opportunity to discuss the importance of excellent science teaching in primary schools.